Developed primarily for intense sun environments and long-term storage, WeatherShield®HD uses heavier denier thread for maximum UV opacity. Approximately 40% heavier than WeatherShield®HP, the 300 denier fiber construction results in almost double the tear and tensile strength, finished with the same great EPIC® by Nextec encapsulation process. Who should use WeatherShield®HD cover fabric? 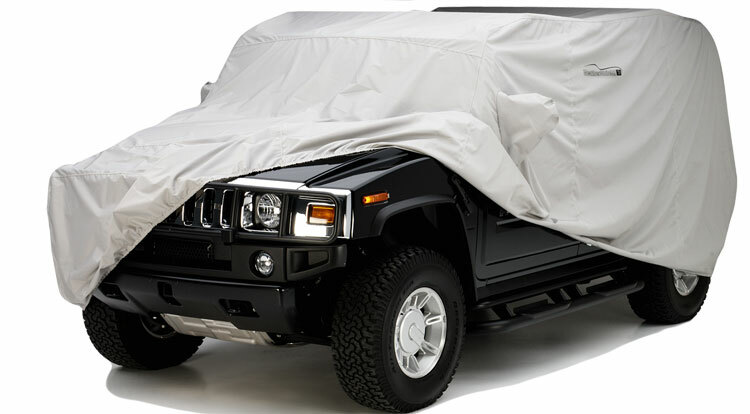 People who live in intense sun climates and along the coast will benefit most from this extreme-performance fabric, as well as car owners seeking the best cover for long-term outdoor storage. WeatherShield®HD is not as compact as WeatherShield®HP and the heavier fibers aren’t as silky-smooth but, for maximum performance in harsh outdoor environments, you can’t beat WeatherShield®HD.